Montana is a state known for its abundance of pristine river systems. With thousands of miles of winding rivers, creeks and streams, it is a fisherman’s paradise. From Cutthroat fishing in cold water cobblestone creeks, to hunting big browns in the slow moving waters of the Missouri, there is something to satisfy even the pickiest of anglers. I’ve fished the rivers in Montana for over 30 years and these diverse offerings have kept me passionate in the sport my entire life. I could travel in any direction and find something new and different; rising rainbows in the soft waters of the Clark Fork, elusive brown trout hiding under the banks of the Bitterroot. I can swing a streamer for that opportunistic monster in the Blackfoot, or present that perfect drifting dry fly to that picky surface sipper of the Yellowstone. The opportunity appears to be endless, but these productive fisheries in Montana haven’t magically appeared. We worked for them. Our river systems have faced several challenges over the years: Logging, habitat degradation, mining, and dams have historically been devastating to the local rivers and fish populations. As of recently, nonnative fish introduction, invasive aquatic plant life, and warming water due to climate change stress these fragile river ecosystems. The question is how much impact do these things have on fish populations, and are the fish able to cope with such drastic changes within their environment? Although the answer is uncertain, one thing is for sure, the sport of fishing in Montana is changing. I recently did an overnight float trip on the lower Clark Fork, which in 2009 overcame its own obstacles with the removal of the Milltown Dam. I found myself surrounded by fish diversity. I set up camp on a small rock bar between a slough and the main channel. In the main river to my right I could see a pod of rainbows sipping small dry flies from the surface. I almost reached for my dry fly rod when I looked to my left over the slough. There was a group of Northern Pike lurking toward the middle of the glassy water. The smallest was about 25 inches, and the largest topping over 35 inches. Before I could choose between streamer rod and dry fly rod, something else caught my attention. I noticed a large shadow lurking up the bank of the slough toward me. It didn’t take long before I could make out the large red stripe down its side. I picked up the nymph rod and put my nymph just ahead of the fish and could tell it was immediately interested. My line pulled tight. The surface of the water broke as the fish exploded up the slough. Just as soon as he was there, he was gone, my tippet broken. After a five minute timeout, and regaining some confidence, I tried my luck again for another red-banded beast. I casted blindly up the middle of the slough, and it didn’t take long to hook another good fish. This time I was ready, and I horsed the 20 inch fish around a log and into my net. I caught two or three more of these slough rainbows, and decided to try my luck for something a bit larger. I put on a simple streamer, articulated in the middle, fleshy in color with no weight, and tossed it out into the middle. A couple slow strips later and smack, I hooked into a nice Northern Pike. It immediately came out of the water, dancing across the surface before it darted toward the back of the slough. It carved my line through the water as it sped from one bank to the other, winding and weaving its way through patchy weed beds, and rolling violently on the bottom. Finally I was able to land the fish which measured just over 25 inches. I couldn’t hold back the smile on my face. I ended up spending most of the day switching rods between explosive rainbows, aggressive pike, and the occasional rising cutthroat. I was in fish heaven, dabbling into different species with different techniques of fishing. It was on this trip when I realized what true fishing is about. Taking what is given to me and figuring out how to overcome it. This is easier said than done. The challenges to be a successful fisherman extend beyond a good presentation of the fly. Trying to locate the fish can sometimes be the biggest challenge. Fish have learned to avoid making themselves vulnerable. Placing themselves in harder to reach areas of the river, and feeding at night are adaptations I think fish are inheriting in response to added fishing pressures. Rising air and water temperatures are forcing fish to find cooler water, which means they are spending more time in deeper pools where a nine foot leader isn’t long enough to reach them. Learning about these changes will give us a deeper understanding of fish behavior, and help us as fisherman overcome the challenges of a changing environment. Today we face an entirely new set of challenges in our rivers, the introduction of nonnative fish species. What’s a fisherman to do when having more fish in the river is actually a bad thing? It becomes a problem when the nonnative fish species out-compete the native species, forcing them to relocate in areas less suitable for their needs. It’s obvious which species aren’t going to be a good fit for the ecosystem. Northern Pike are a prime example. Often refered to as water wolves, Pike are the true hunters that can eat almost anything that crosses their path. But is there a place for them in the rivers? 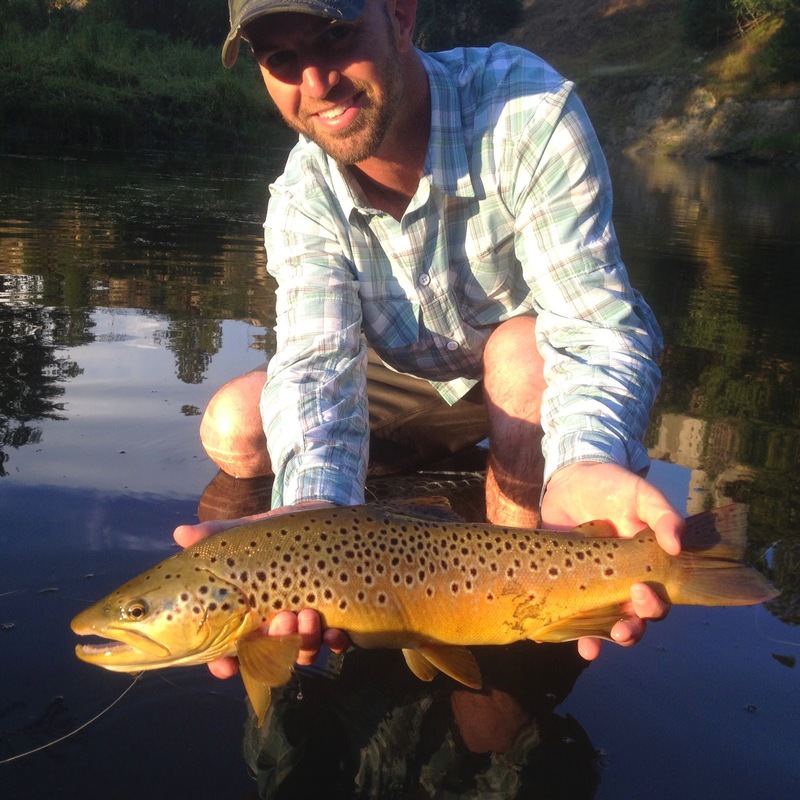 What about other nonnative fish species that anglers covet? 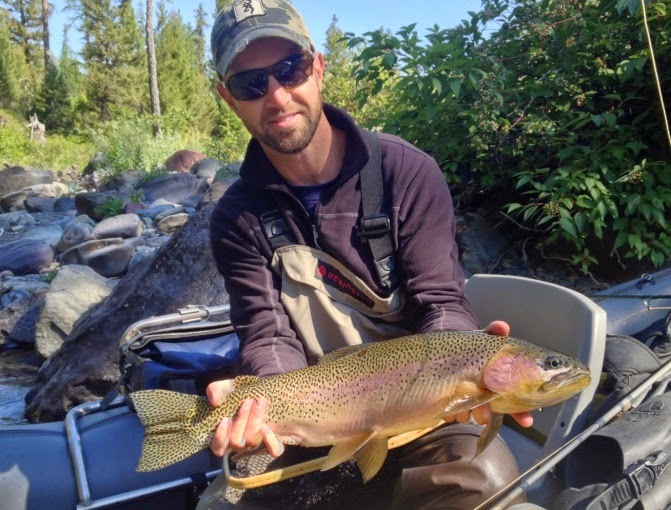 Rainbows and Brown trout are not native to Montana (Except for the Red-Band Rainbow in the Kootenai), yet they hold a higher value to some anglers than even a native species like the cutthroat. The biggest problem with Rainbows is cross breeding with Cutthroat Trout and eliminating the pure strain of the Cutthroat species. Montana has used fish-kill techniques for decades trying to eradicate the Rainbows and prevent them from hybridizing with native species. I understand the importance of this especially in the upper headwaters of river systems where Cutthroat and Bull Trout populations continue to thrive in their natural pristine environment and don’t have to compete with nonnative fish. We must continue to pay special attention to the river systems we can still influence without killing fish, and the ones that hold critical habitat for threatened species like the Bull Trout. Fish are amazing creatures. The more I learn about them, the more I admire them. They can migrate hundreds of miles to spawn, swimming under log jams, through raging whitewater, and over hydroelectric dams. They can survive the harsh Montana winters, and escape the relentless flows of runoff. Fish are at the top of the menu for many predators, including being cannibalized by their own kind. They can determine a meal the size of a grain of sand, and deny my #22 mayfly displayed perfectly in front of them. This is one aspect of fishing that has never changed for me and remains the biggest challenge for any body of water around the world. It doesn’t matter where I go or what I’m fishing for, I will always need some level of experience or knowledge to catch that one fish we’ve all been searching for.